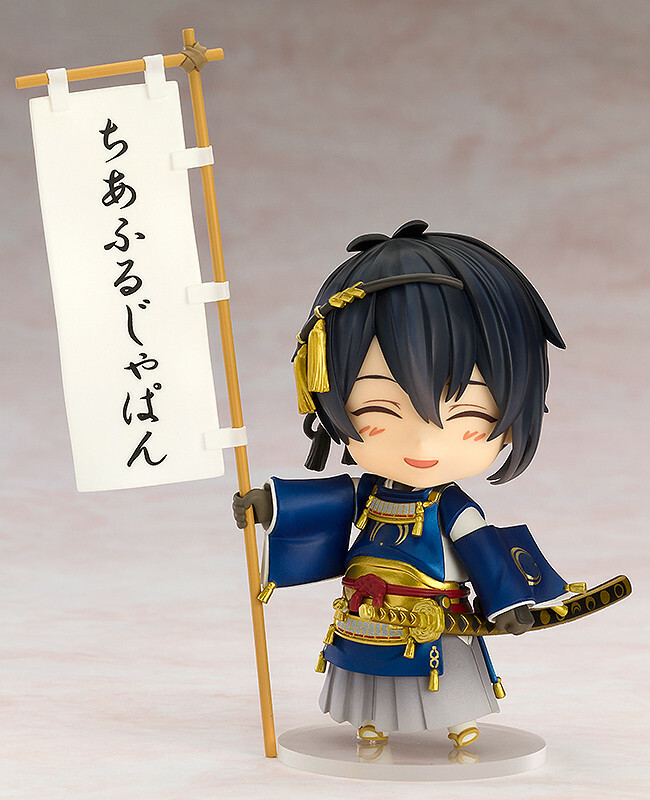 Mikazuki Munechika is cheering everyone on with a smile! This product is released as a joint charity project with Nitroplus and DMM.com. 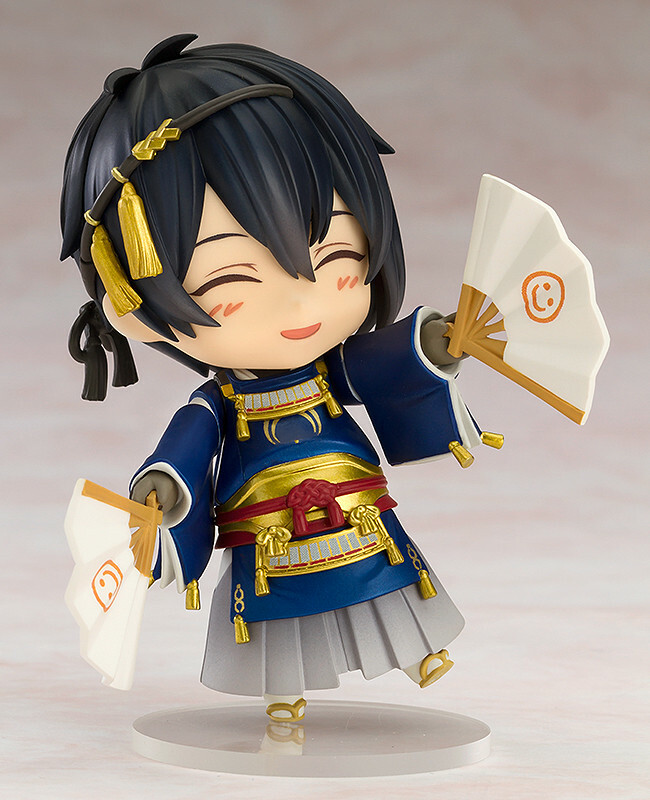 Nendoroid Mikazuki Munechika: Cheerful Ver. comes with a banner and folding fan as optional parts, as well as a lovely smiling expression to spread the cheer! 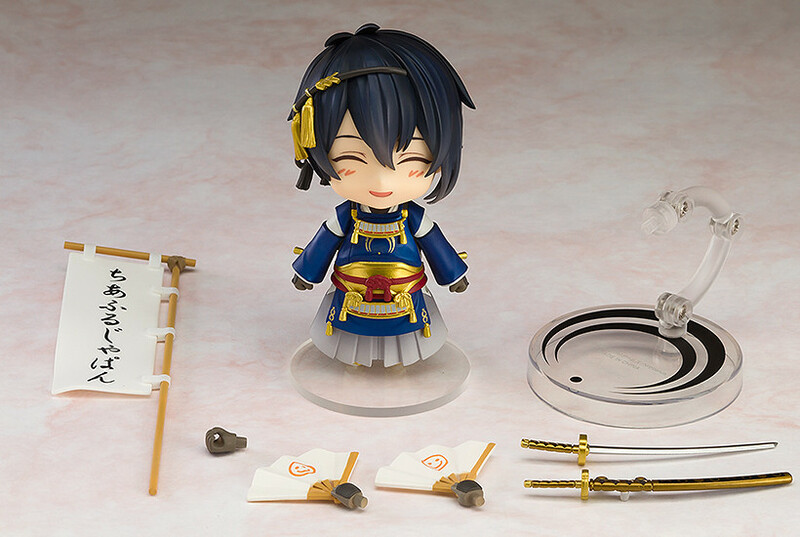 The Nendoroid will also include badges of Nendoroid Doudanuki Masakuni, Nendoroid Hotarumaru, Nendoroid Heshikiri Hasebe and Nendoroid Petite Kasen Kanesada. The included badges will be based on these designs. *The image above is for illustrative purposes only. Actual designs may differ. *The bonuses will be sent at the time your product is ready to ship. · Delivery is scheduled for August 2016. · For each sale made, ¥1000 will be donated to aid relief efforts in Japan. · Orders cannot be cancelled or returned. Please consider your purchase carefully before ordering.